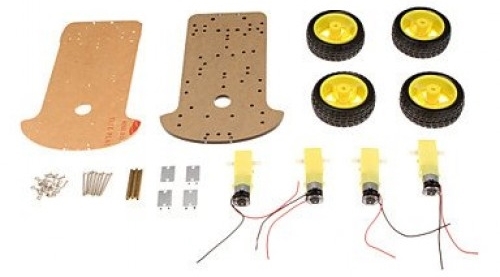 We will learn how to assemble 4WD smart robot car chassis. Attach the four metal brackets (they’re rectangular, drilled blocks of metal) to lowest part of robot chassis using two medium size bolts. 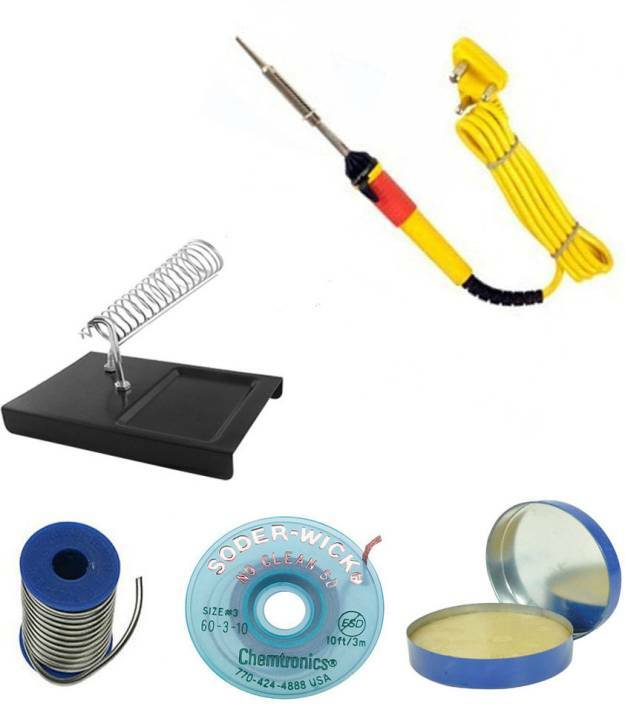 If you have motor without wires attached then you need to solder them to the motor. Strip out the insulation from the wires (black and red) at each end, solder the wires to the motor terminals. You can check the motor polarity by connecting it to the battery pack.If it rotates in forward direction (red wire with positive and black wire with negative terminal of the battery) then the connection is ok). Attach each DC gear reduction motor to the metal bracket (they’re rectangular, drilled blocks of metal) using two long bolts and two nuts. Each DC gear reduction motor has 2 wires attached (black and red). Make sure that the wires go towards the center of the robot chassis. Completed the lowest part of robot chassis. Let's start to assemble the top part. You will need four copper pillars and eight medium size bolts. 4WD smart robot car base assembled. The other copper collars, bolts and nuts we will use to attach modules, extention boards, sensors). 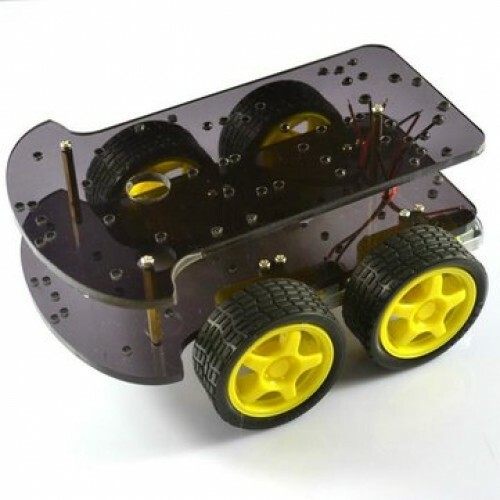 See How to build the 4WD smart robot car Part 2. We have learnt how to assemble the 4WD smart robot car chassis.